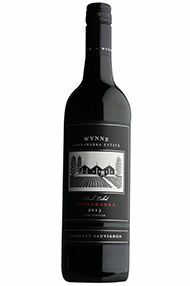 This famous wine estate Wynns was established by Scottish pioneer John Riddoch in 1891, who planted vines in the surrounding area, but its current identity dates from 1951 when it was purchased by Melbourne wine merchants Samuel and David Wynn, who re-named it Wynn’s Coonawarra Estate. Coonawarra, which is an Aboriginal word meaning honeysuckle, is an outcrop of land 300 miles from both Adelaide and Melbourne. It is a unique viticultural area which owes its fame to the terra rossa (literally “red earth”) soil. This soil has proved itself to be ideally suited to the production of outstanding grapes for wine-making, particularly the Cabernet Sauvignon grape. 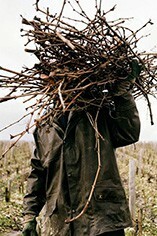 The climate here, at only 50 miles from the chilly Southern Ocean and the influence of the Antarctic winds, is marginal for vine-growing, as is the case for most of the great wines of the world, and the result is the production of wines of great complexity and intensity of flavour. Today the wines are regarded as benchmarks for the district, lauded for their consistent quality and depth of flavour. Under Sue Hodder, who has been Senior Winemaker since 1998, Wynns Coonawarra Estate produces an annual collection of wines from superb value Riesling and Shiraz through to the flagships John Riddoch Cabernet Sauvignon and Michael Shiraz; the last two are made only in vintages when the grapes are deemed exceptional.